The Can-Am Conquest Tour is returning this autumn bringing the versatile and reliable Can-Am All Terrain (ATV) and Side by Side Vehicles (SSV) to farmers and agricultural workers at new auction marts and sales across the country. The tour will be starting on 4 October in Cirencester and running through to the end of November, building on the success of the first incarnation, which took place in May and June. Can-Am Conquest Tour II is part of BRP’s successful UK-wide brand awareness programme designed and developed in partnership with its dealership network. It will be visiting 11 livestock sales and auction marts in eight weeks, including Penrith, Exeter, Ayr, Sedgemoor, Rugby and Cirencester. 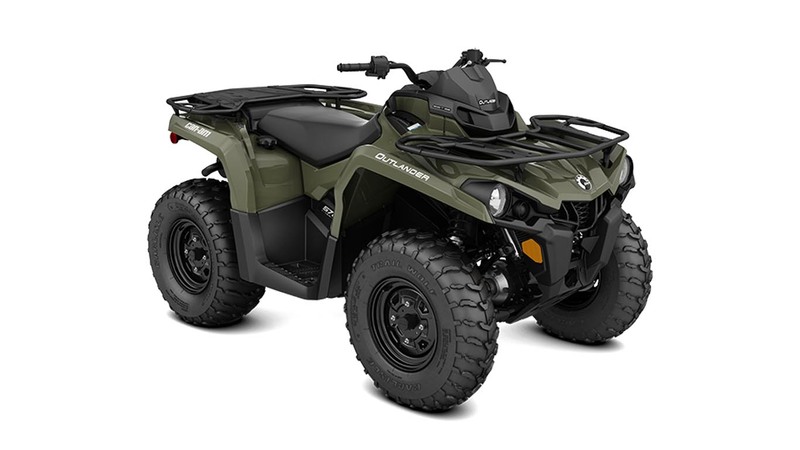 At each site, the local Can-Am dealer in conjunction with the BRP team, will showcase the high performance, power, towing and hauling benefits the Can-Am Outlander 450 and 570, and Can-Am Traxter models from the 2019 Can-Am off-road range, can deliver to end users, with the opportunity to book a free demo back at their farms and estates. The road show will arrive onsite with a branded truck transporting a selection of Can-Am ATVs and SSVs, with supporting promotional merchandise and offers from the NFU, NFU Scotland* and BASC.